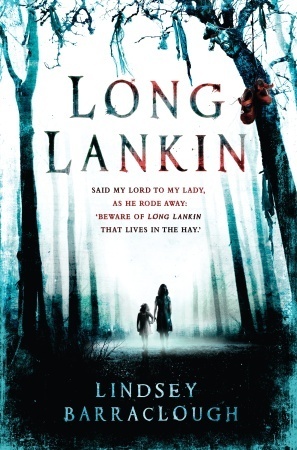 Said the Lord to his Lady as he road away, Beware Long Lankin….. Mother gone, Father fading, creepy old Auntie, graveyard, dead children, abandoned sisters, an awakening evil….all set in the English, moorish countryside of 1958. Don’t pass this story up if you are one for supernatural thrillers that don’t let you sleep well. I actually had to read bits at a time because it was so well crafted (to me) to scare those of us with healthy imaginations. Cora and her little sister, Mimi, are sent to live with Aunt Ida (Whom they’ve never even met…) when Mom runs off and Dad says he can’t take care of his girls. Aunt Ida wants no part of the children. She’s worried, very worried that Mimi’s presence in the old mansion will awaken something so sinister that no one will even speak of it. The chapters are narrated by individuals – Cora, Aunt Ida, Roger – the neighborhood boy who befriends Cora and her sister, Peter – Roger’s brother, the Priest of the old Churchyard where the ghostly children are seen. Readers may say this is not the perfect book, but I found it great storytelling. The awakening evil is alluded to in an old ballad as well as Aunt Ida’s memories recalled of her family’s history. Despite the creepy nature of the book, the voices of the children contain humor, fear, friendship and curiosity, and they still remain children who must defeat a creature that they can’t even see…yet. Sounds, smells, sights are vividly and authentically painted for the reader to experience the darkness of what lies somewhere, somewhere, hunting. I loved it.